The Konop Companies had their beginning in 1946 with the purchase of a route consisting of 120 penny peanut machines. Since then, this family-owned, locally operated organization has grown to be one of the largest independently owned vending and food service companies in Wisconsin. 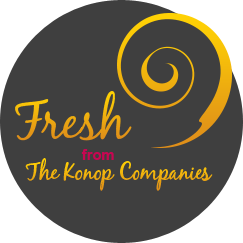 The philosophy of the Konop Companies has been growth at a controlled pace, exemplifying the highest standards of service. Though many years have passed, the success we enjoy today stems from the same strong commitment to providing our customer with quality products and unparalleled customer service. Our staff will always do everything possible to merit the confidence placed in us.